The small fishing village of Mousehole is a picture of Cornwall at its very best. With narrow streets full of quaint stone cottages, a pretty harbour and views out to Mount’s Bay and the rocky outcrop of St Clements Isle, it’s like something from a postcard. Add in plenty of shops, galleries and places to eat, coastal walks and tidal rockpools to explore, and you’ve got yourself the perfect family day out. 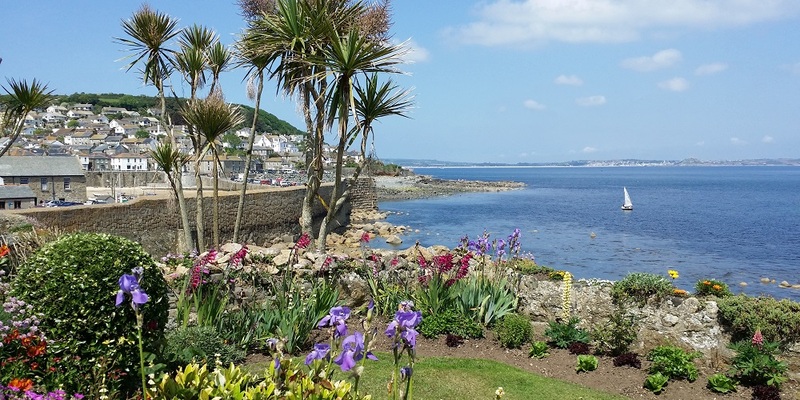 Just a couple of miles south of Penzance, Mousehole can be reached by bus, taxi or even foot via the South West Coast Path. If you’re driving, take the cliff road from the A30 near Newlyn and leave your car by the harbour – there are two car parks, although one is usually closed during the winter months, as it’s full of boats being stored until spring! Begin your visit by exploring the warren of winding streets that make up the residential part of the village, where the beautiful old houses that will make you feel like you’ve stepped outside of time. You can also take a wander along the harbour wall or the coastal path the runs either side of the village, which lies within the Cornwall Area of Outstanding Natural Beauty. Once you’ve worked up an appetite, there are plenty of restaurants and cafes to choose from. We love the Hole Foods Deli, with its views out over the harbour. They do an particularly good selection of hot chocolates, as well as all sorts of local Cornish food. There’s also The Rockpool Cafe, a vintage style eatery where you can enjoy tea, cake, and light meals including fabulous crab sandwiches. For a slightly more substantial meal, head to The Old Coastguard Hotel, where you can choose to eat on the Upper Deck, the Sun Deck or even outside on the terrace when the weather is good. The food is brasserie style and excellent quality, there are plenty of options for the kids (not to mention games and colouring books to keep them entertained) and a lovely garden with palm trees which give the whole place a Mediterranean feel. Before you leave Mousehole, make sure you visit the village’s many gift shops and galleries. There’s the Sandpiper Gallery, which sells a lovely range of gifts, jewellery and furniture as well as paintings, ceramics and blown glass, and Tyler Gallery, with its impressive collection of modern and contemporary artists. Other workshops can be visited by appointment, including the workshop where Julia Mills makes her stained-glass panels, inspired by the sea. For something completely different, head to the Mousehole Bird Hospital and Sanctuary, an independent charitable organisation dedicated to saving the lives of local birds. There are around 100 permanent feathered residents at the centre, as well as those who are being cared for before being released back into the wild, plus a small a small shop selling local crafts and bird-inspired gifts. Finally, if you’re looking for something different to do this Christmas, head to Mousehole to enjoy the famous festive lights, which set the entire harbour aglow. You can also join the locals in celebrating Tom Bawcock’s Eve on December 23rd, with a procession of lanterns through the village and the traditional sharing of mulled wine and star-gazy pie, so called because of the whole baked fish peeping out through the pie crust! Feeling inspired to head to Cornwall? Check out our great range of holidays in Cornwall and book directly with the owner for the best rates.